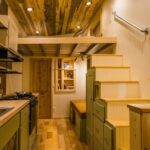 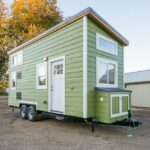 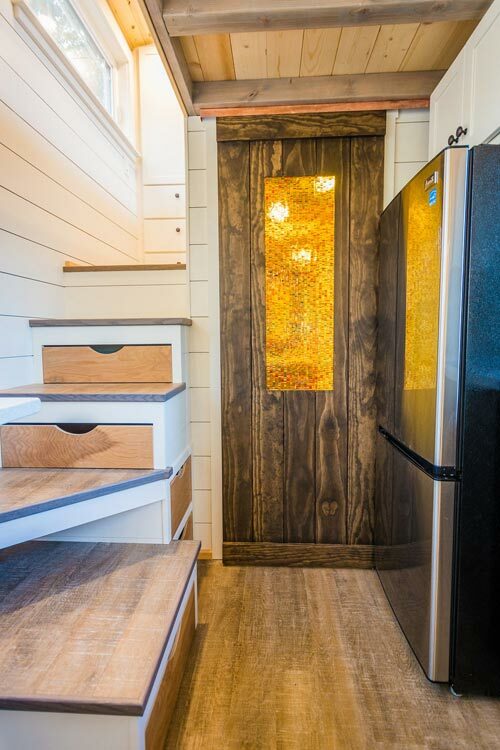 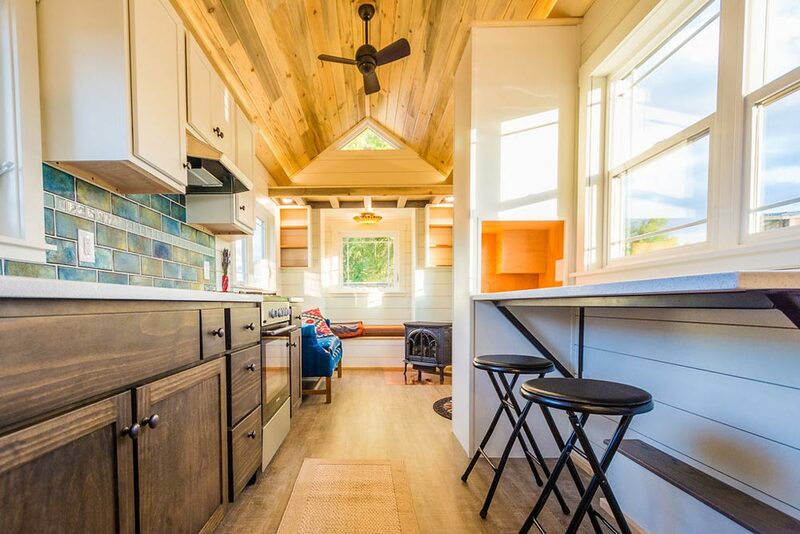 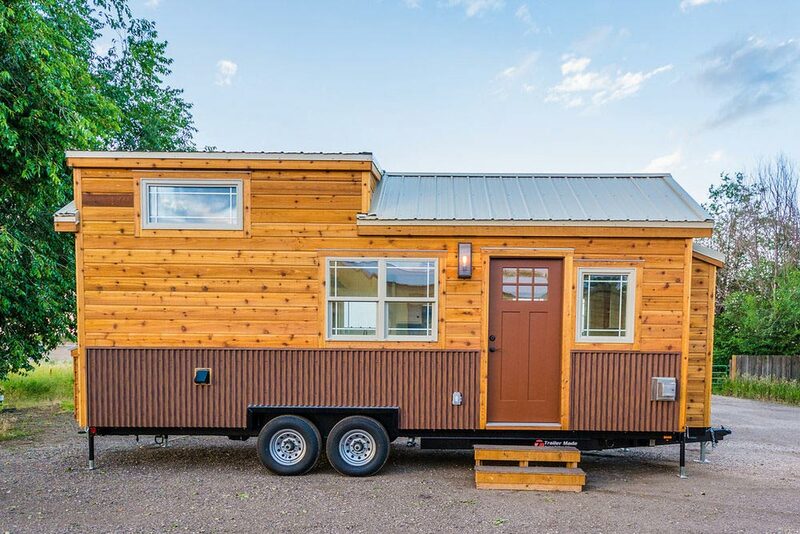 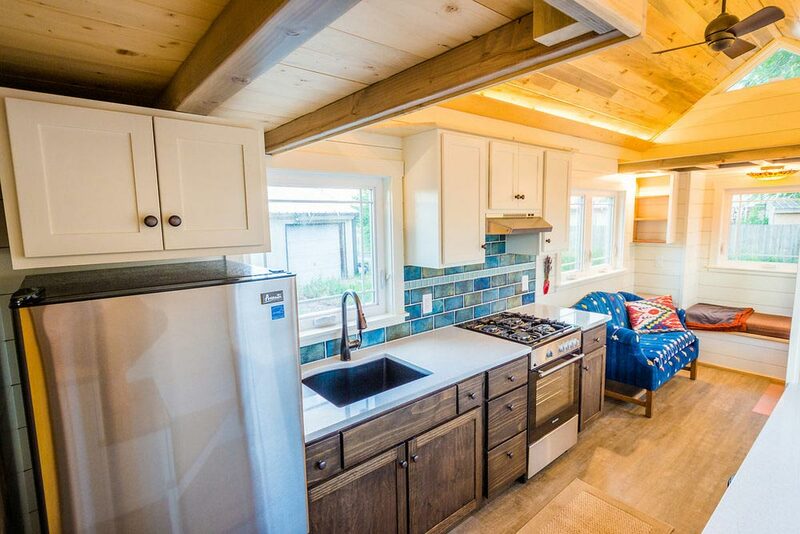 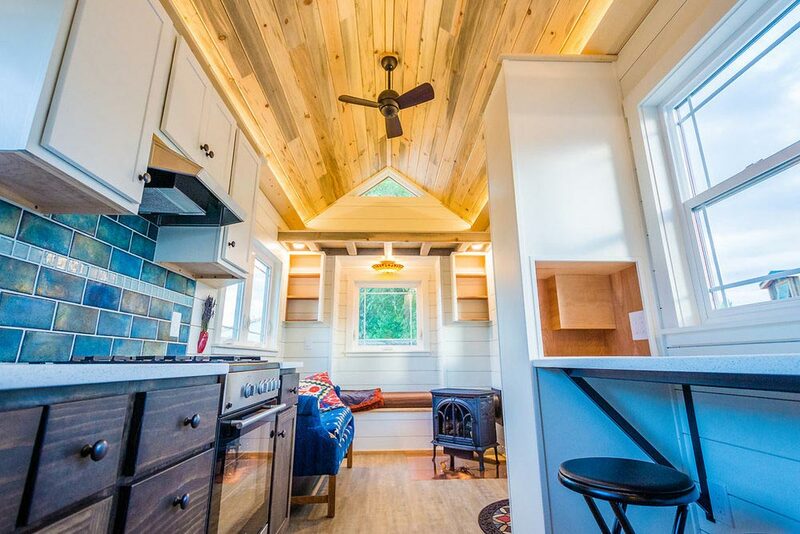 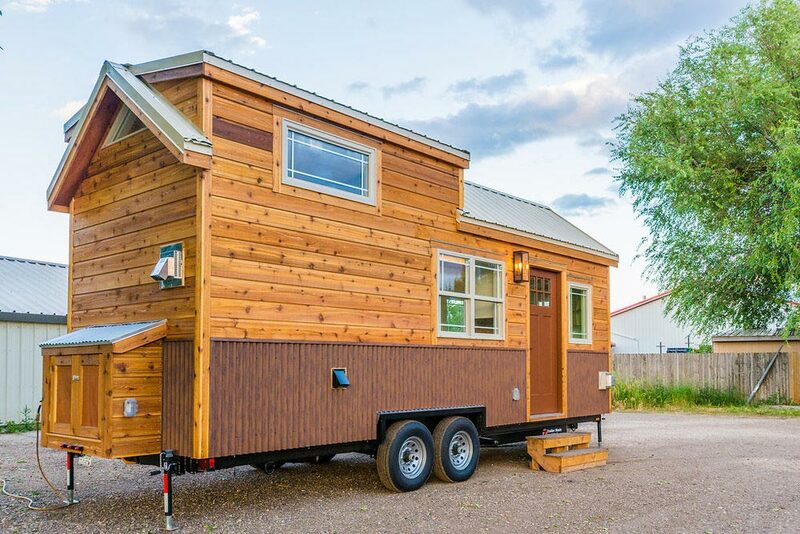 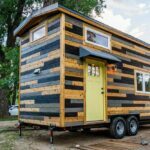 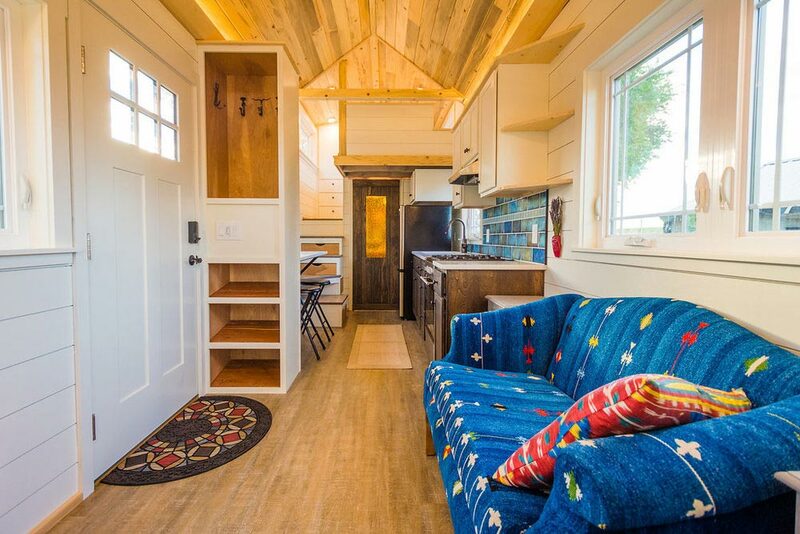 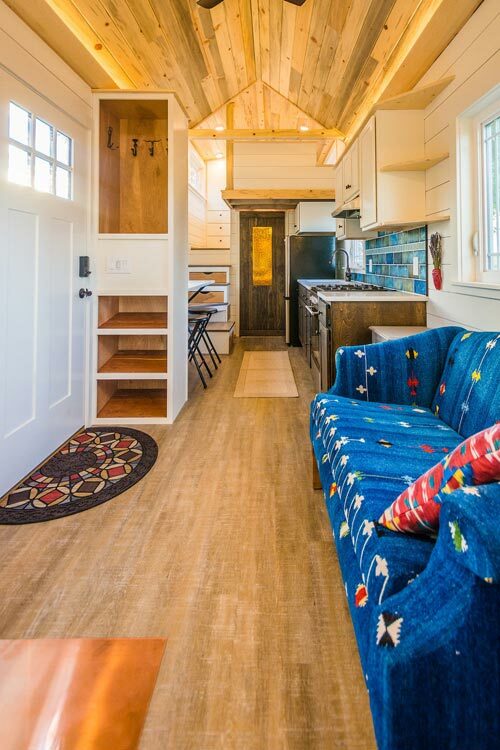 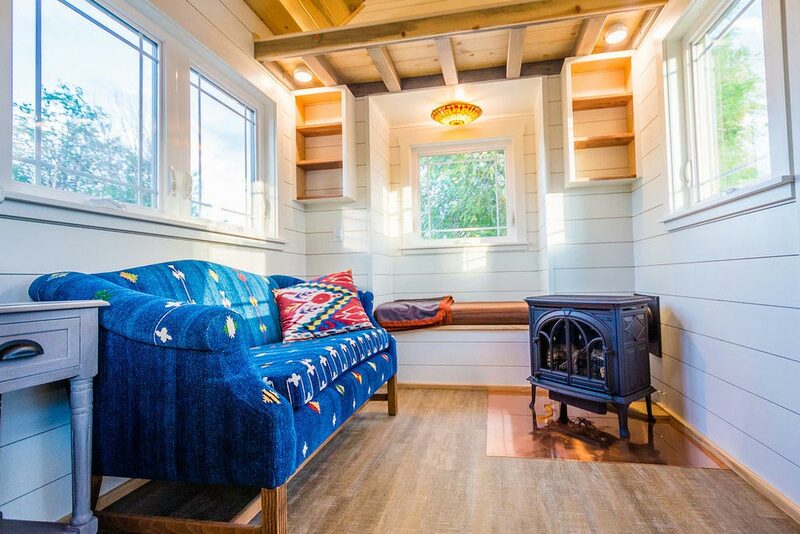 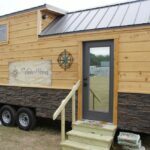 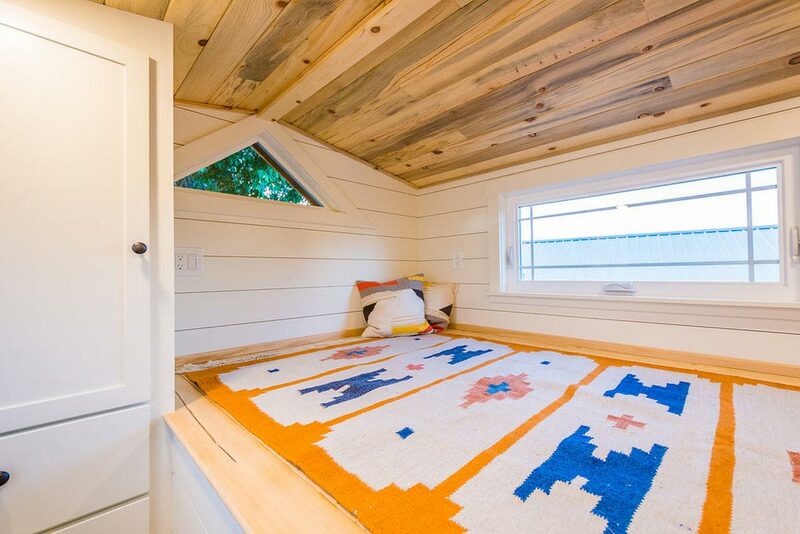 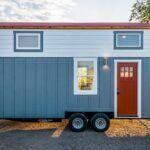 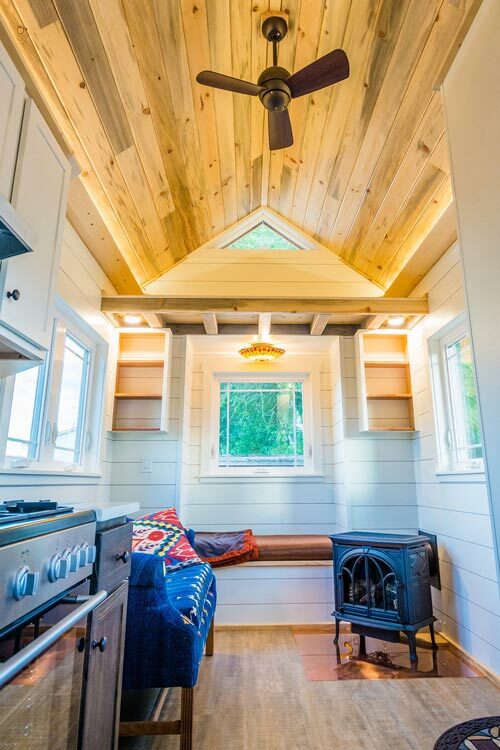 This 24-foot custom tiny house was built by Mitchcraft Tiny Homes for their client, Francelia. 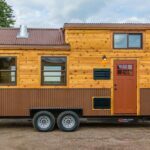 The home is approximately 275-square-feet and features a beetle kill ceiling, stained glass windows, and wood-burning stove. 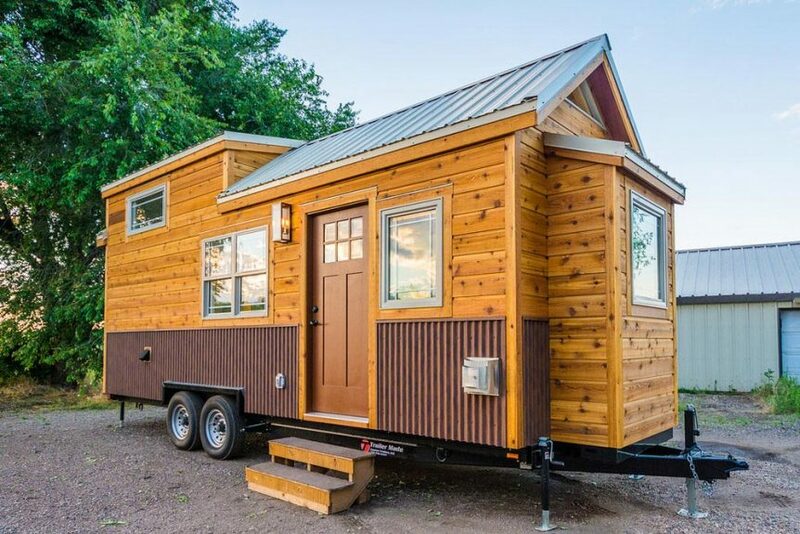 The exterior has horizontal wood siding across the top, corrugated metal across the bottom, and a metal gable roof with double dormers. 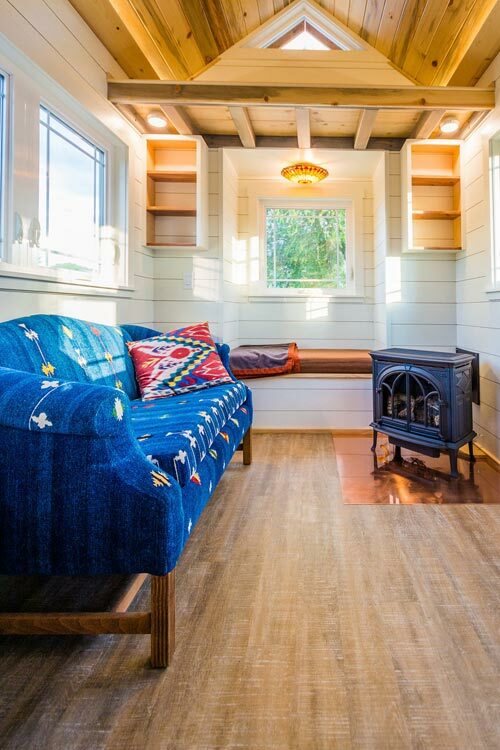 In the living room is the wood stove, a bay window with seat and storage, room for a regular couch, a large closet with room for jackets and shoes, and two open cabinets. 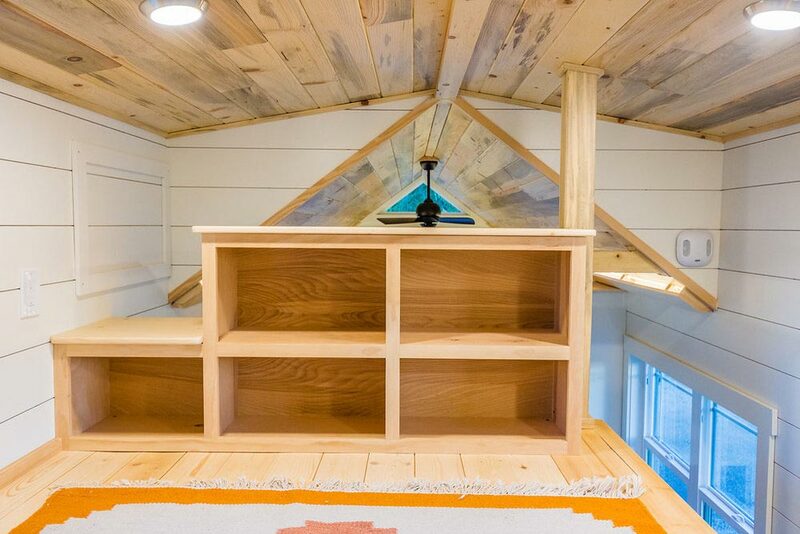 Above the living room is a storage loft. 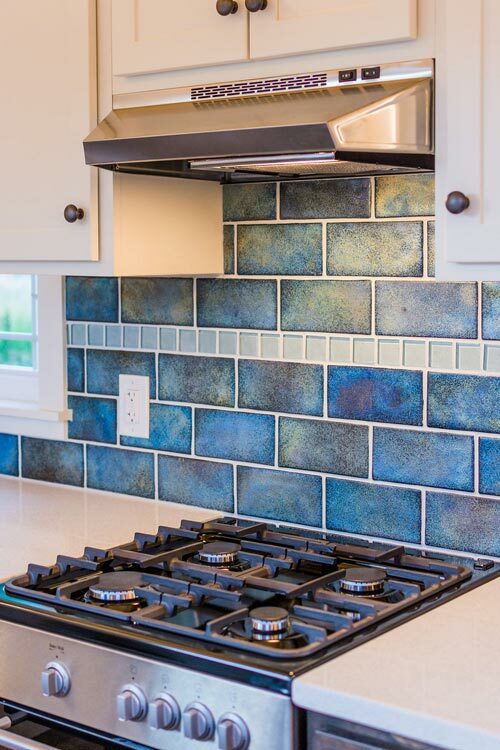 The kitchen has a gorgeous blue glass tile backsplash, white Quartz countertops, stained bottom cabinets, and white painted upper cabinets. 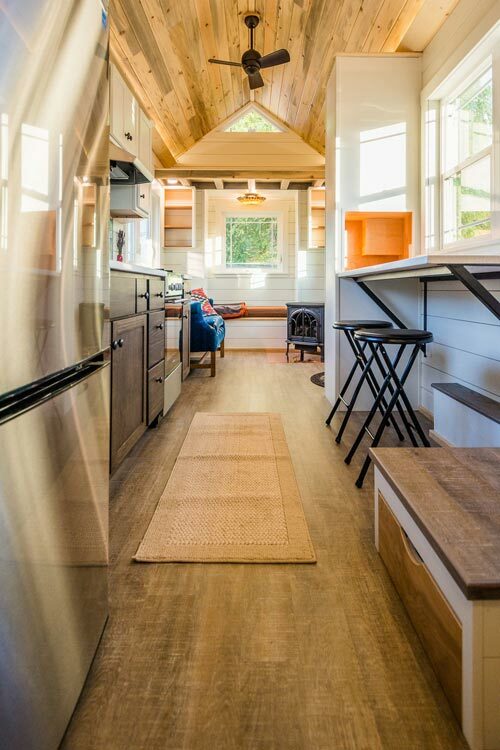 The full size stainless steel appliances include a four burner gas range and refrigerator with bottom freezer. 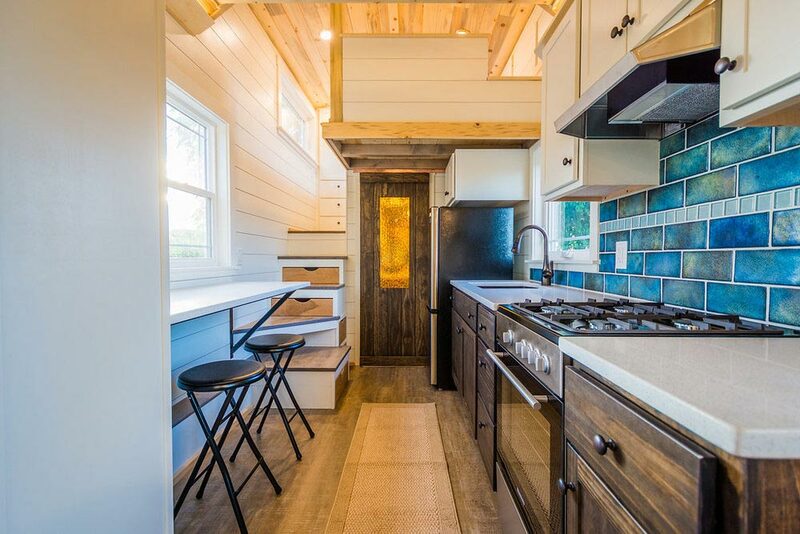 Across from the kitchen is a bar top set in front of a window. 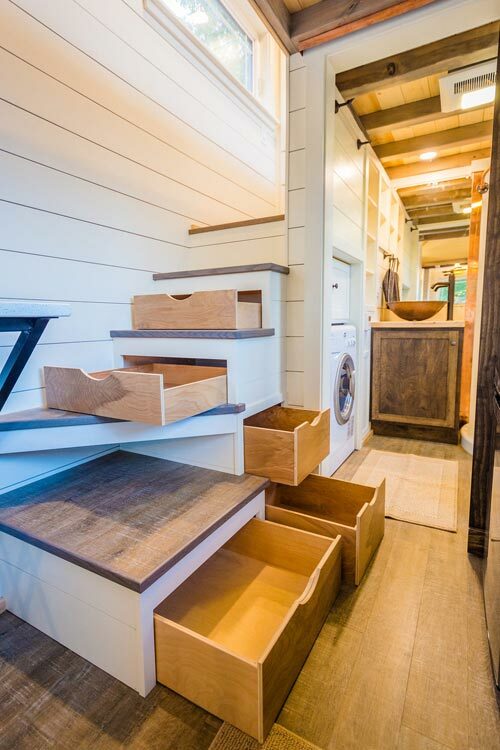 Storage stairs lead up to a landing platform next to the bedroom loft. 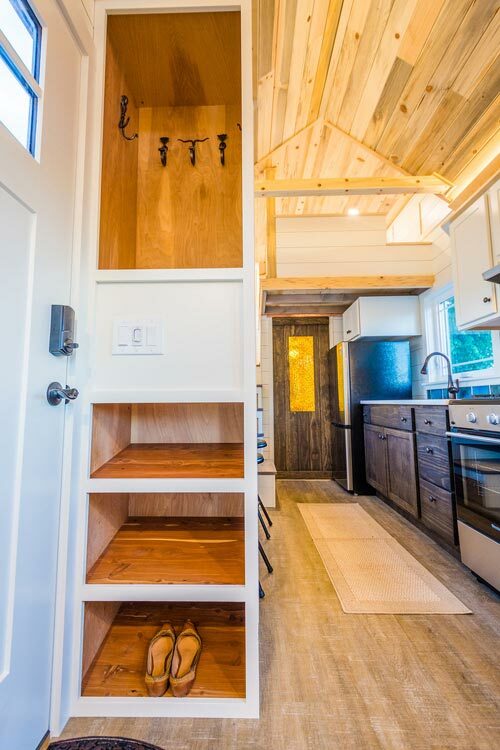 The platform has a closet and provides enough space to stand up. 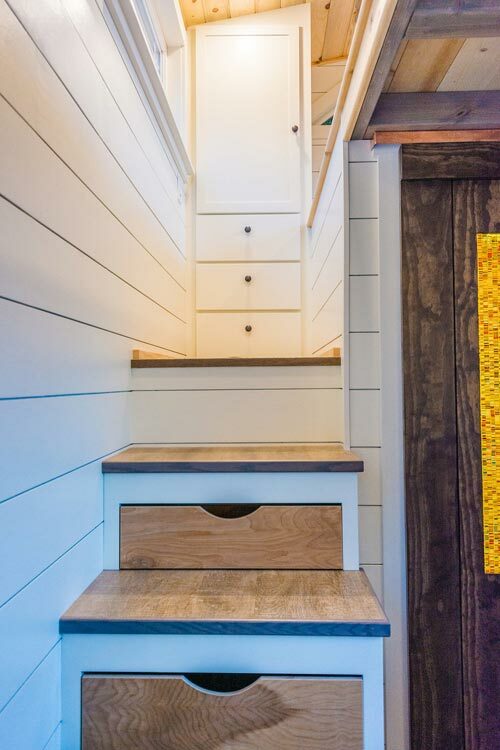 The loft has built-in shelves that double as a privacy wall. 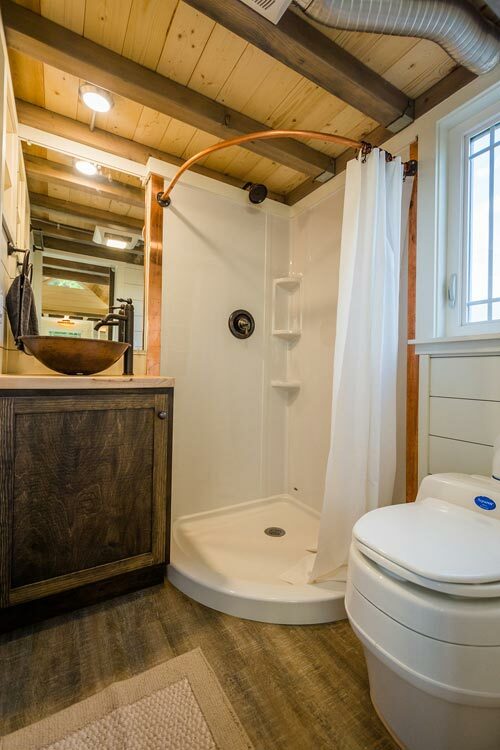 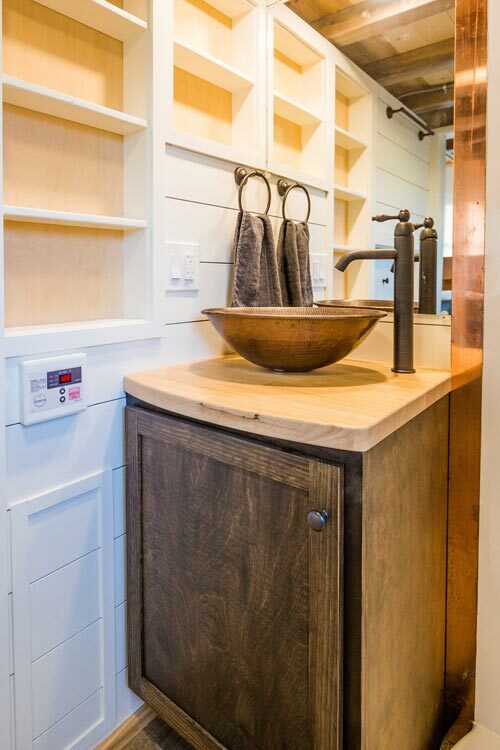 In the bathroom is a corner shower with copper accents, vanity with vessel sink, shelves, and a composting toilet. 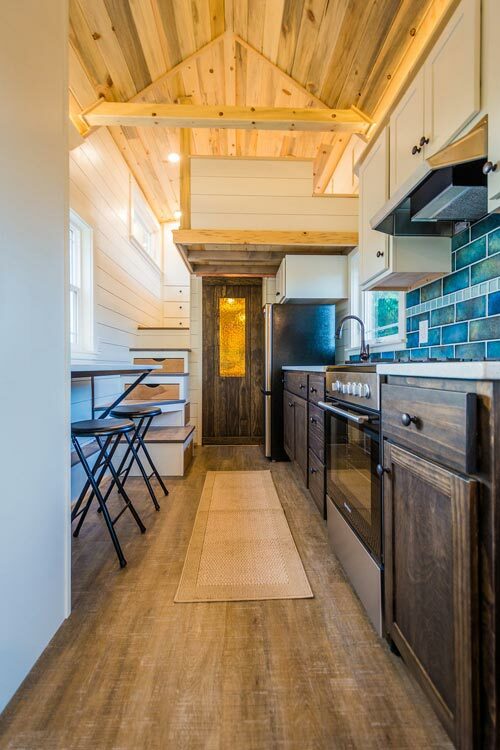 For more information about Francelia’s Tiny House, please contact Mitchcraft Tiny Homes.